Forwarding company Global Ocean Link, in collaboration with partners, Non Vessel Operatoing Common Carrier, trusted throughout the world, provides container shipping and other transportation by sea. The optimal scheme of transportation and cooperation with reliable partners allows you to organize the work of the company at a high level, to form the most favorable quotations of freight by using direct contracts with shipping lines and the presence of regular volumes of cargo. As a member of the International Freight Forwarders Association (FIATA), Global Ocean Link provides maritime transport in accordance with the domestic bill of lading. 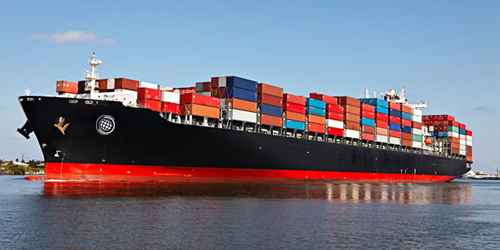 Required availability of the necessary equipment and space for cargo on ships provided by the personnel of the company and its agents, partners, ports of loading cargo for import. The movement of cargo is coordinated by the senders. Part of the philosophy of the company has become a formula – “export makes imports”, which is a tool for ensuring the return loading containers. In view of this situation the volume of export shipments implemented Global Ocean Link, is comparable with the volume of import shipments. In the course of maritime traffic monitored port operations, cargo tracking is done at sea, monitor compliance with the definition of dates of arrival and shipment of goods through the use of modern technology. This approach allows the logistics company to get reliable information about the location and status of cargo. International services are provided in the following container lines: Admiral; HAPAG-Lloyd; ZIM; HYUNDAY; MSC; NYK; ARKAS; MAERSK; OOCL; CMA CGM; ANL; COSCO; PIL; Evergreen; MOL; YANG MING; UASC; CHINA SHIPPING.